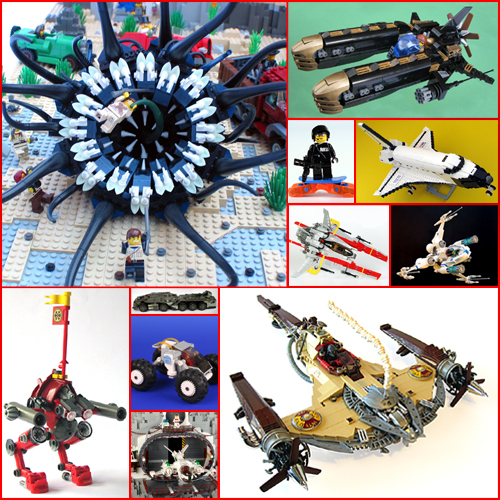 My name is Mark Stafford and I am a toy designer for The LEGO Group. Welcome to the home of my LEGO fan creations. LEGO bricks are my job and my hobby, it's how I met my girl and the best thing I can think of doing in my spare time. I also go by the online name of Nabii or LEGO_Nabii for reasons I've forgotten, but it might help you keep track of some of the other places online where I put models or chat about LEGO projects. Mark Stafford is one of Michael Murley's favorite builders! Mark Stafford is one of Cathy Ryan's favorite builders! Mark Stafford is one of Cagouilles Bricks' favorite builders! Mark Stafford is one of Brody Bingham's favorite builders!